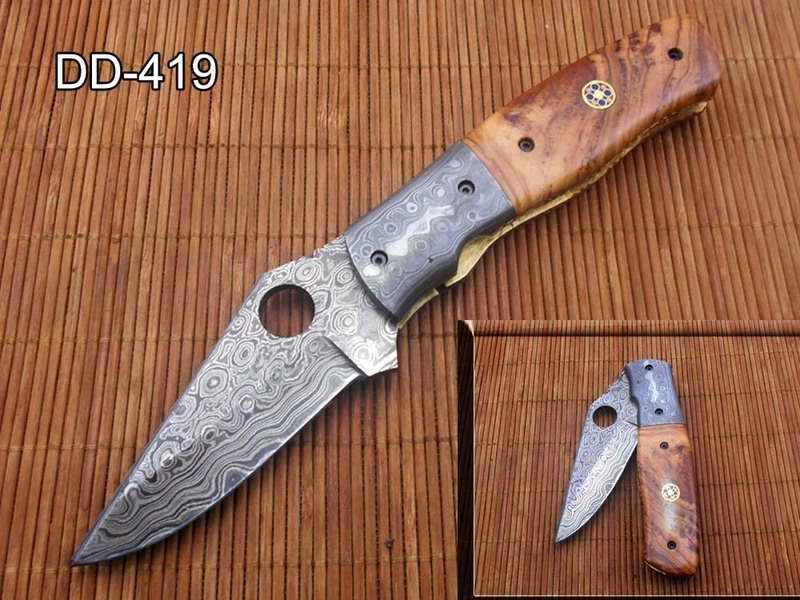 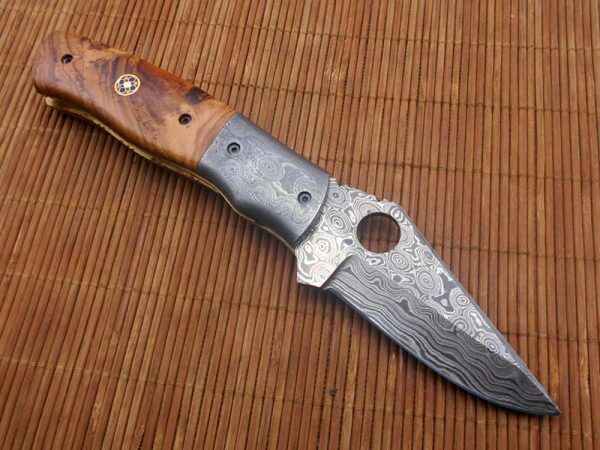 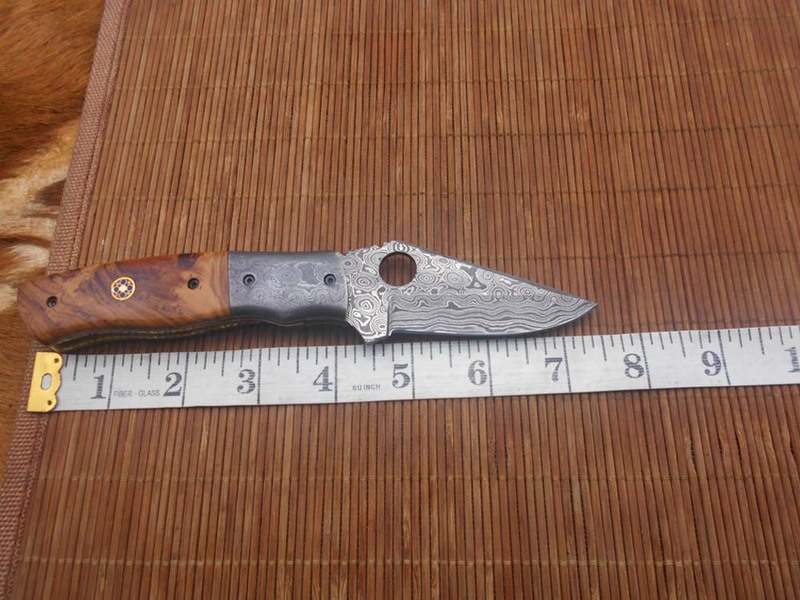 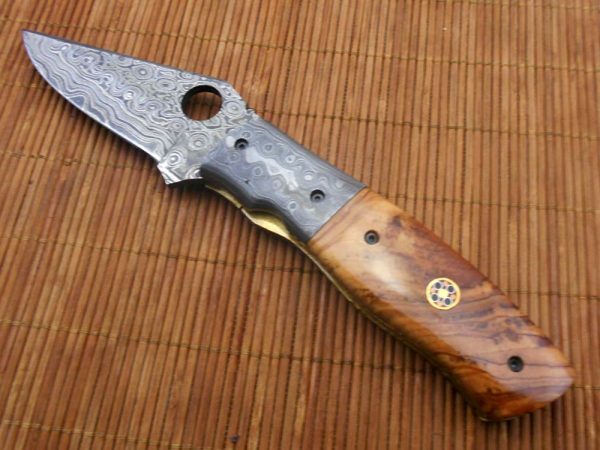 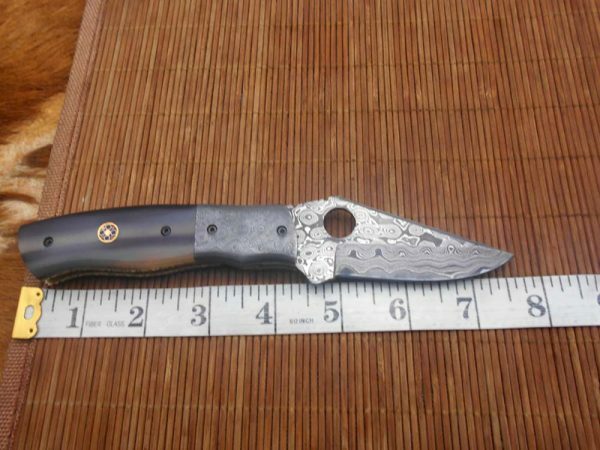 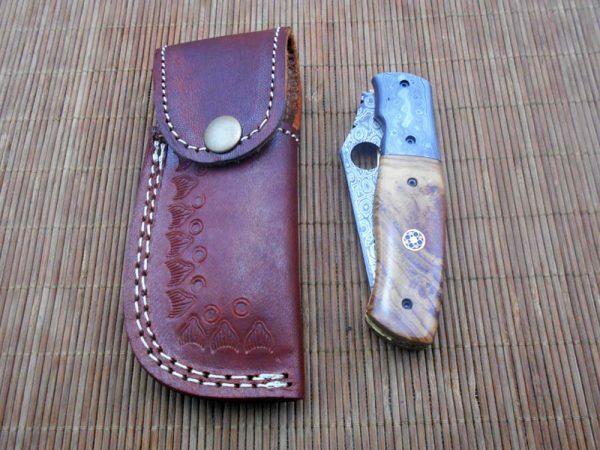 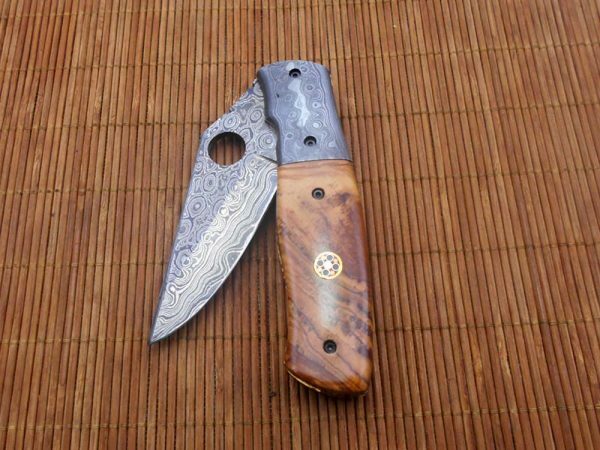 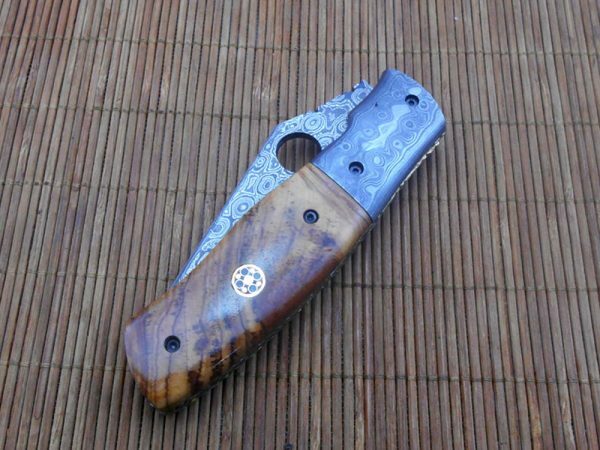 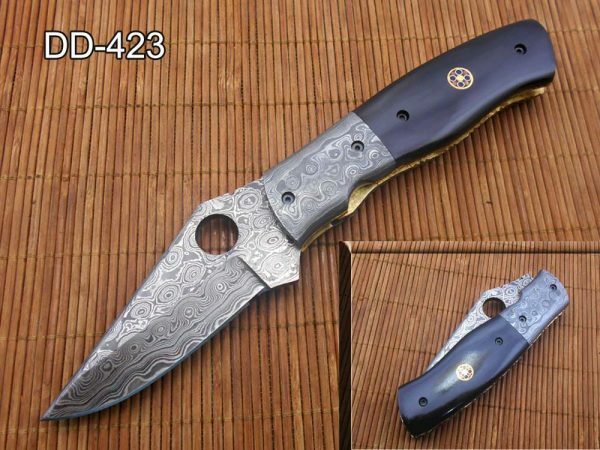 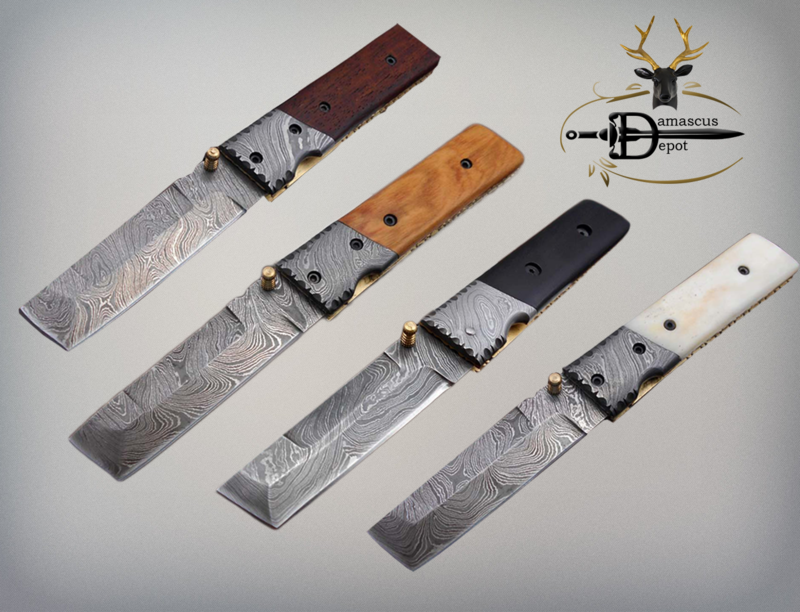 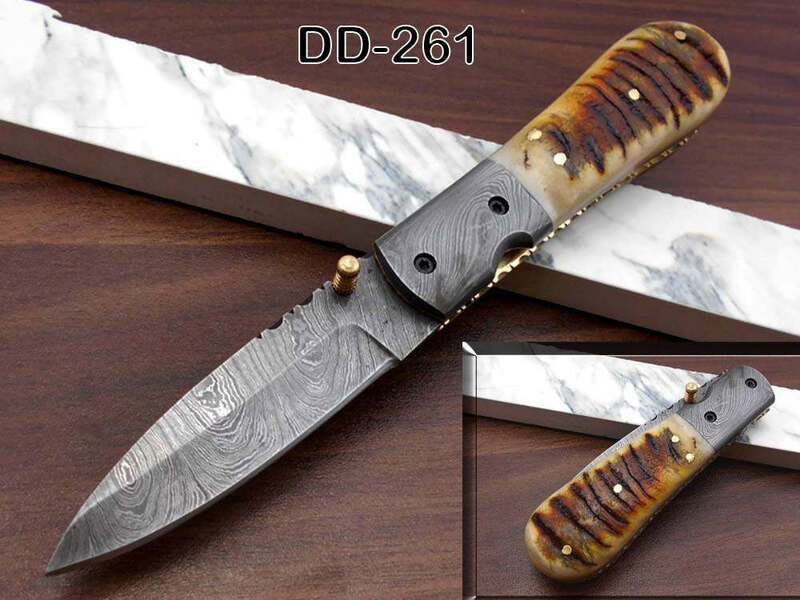 7.5″ flat scale folding knife, Damascus steel blade with finger hole, Equipped with liner lock, Available in Wood & Horn scales, Leather sheath included – Damacus Depot, Inc. 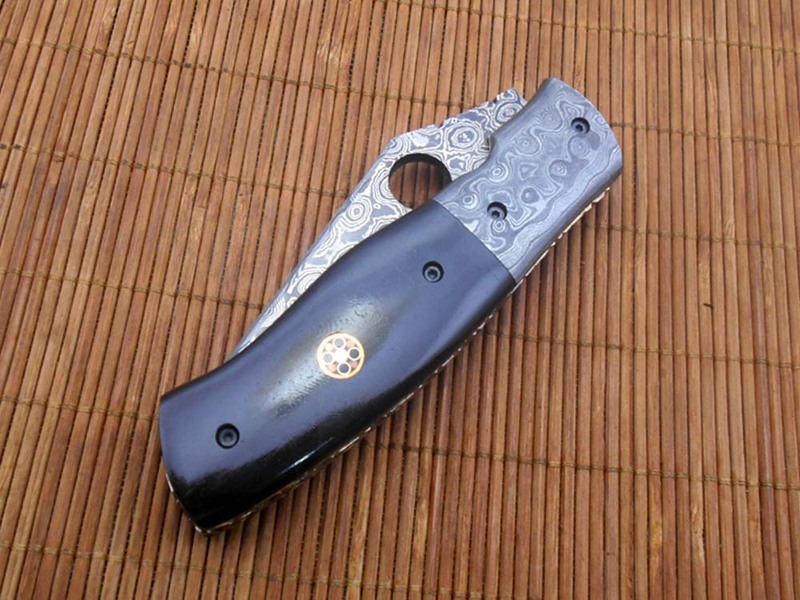 Scale is blind with 4 screws and a Mosaic pins for extra strength. 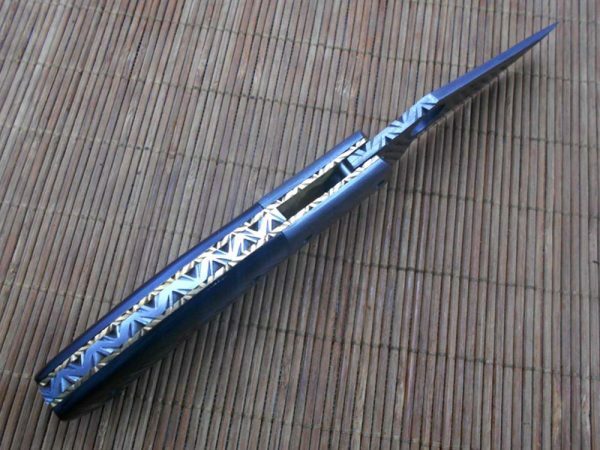 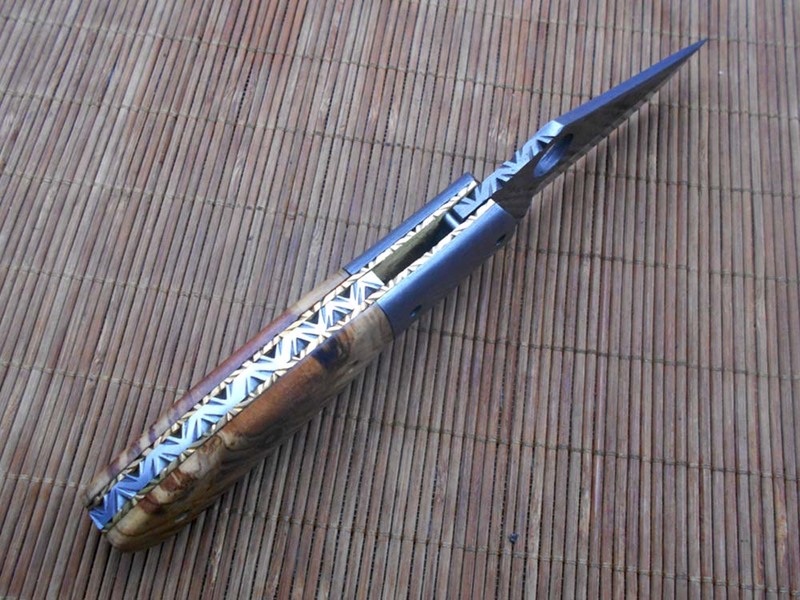 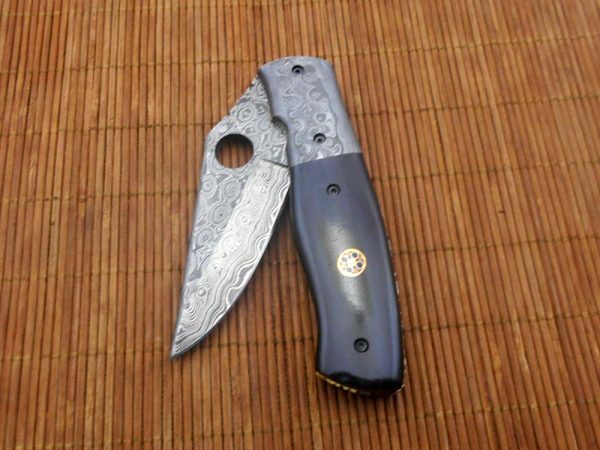 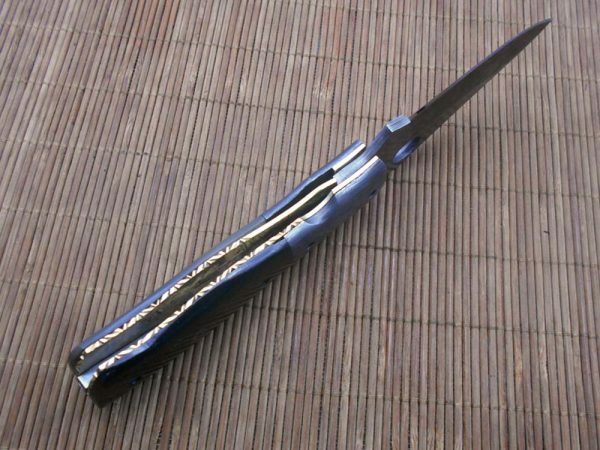 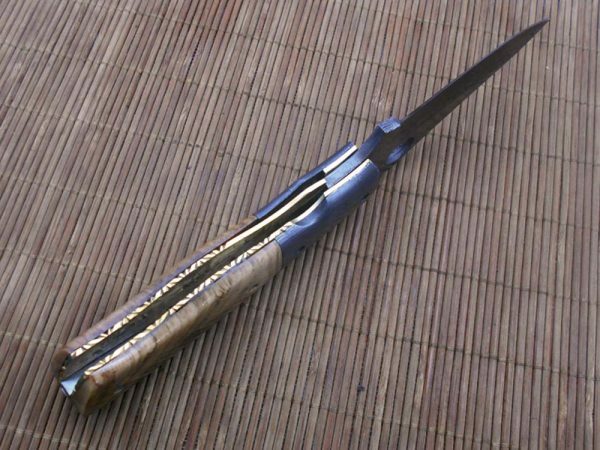 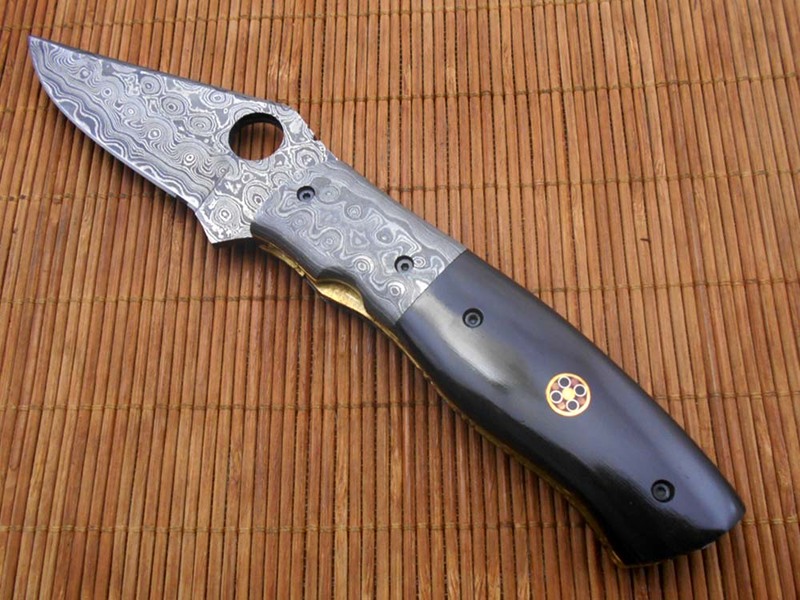 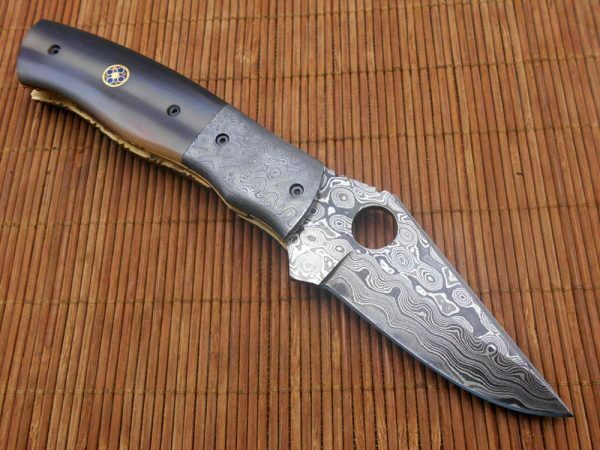 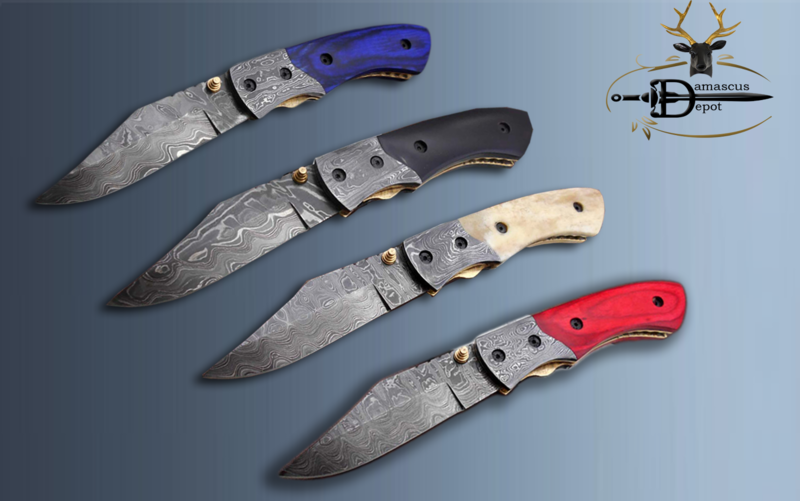 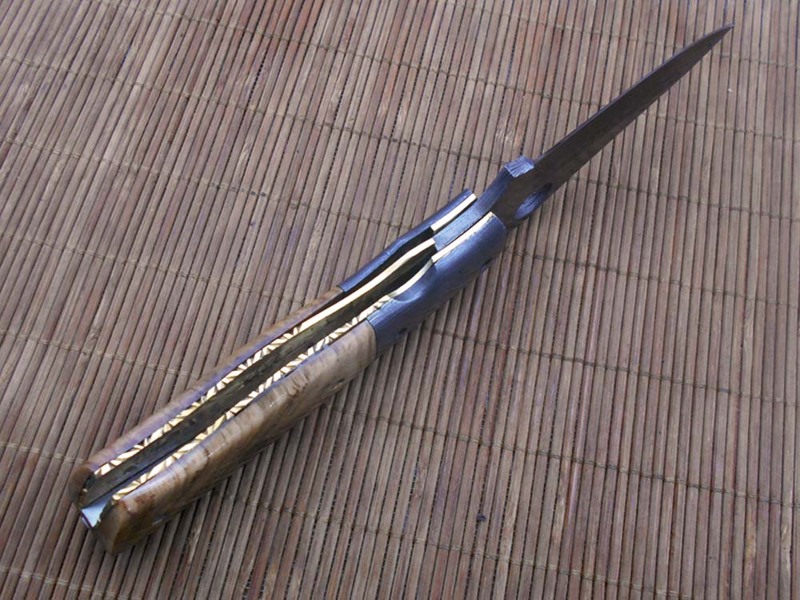 Up to the standards of Pocket Knife, Camping Knives, Personalized Knife. We will not be responsible for mail lost due to wrong address provided. 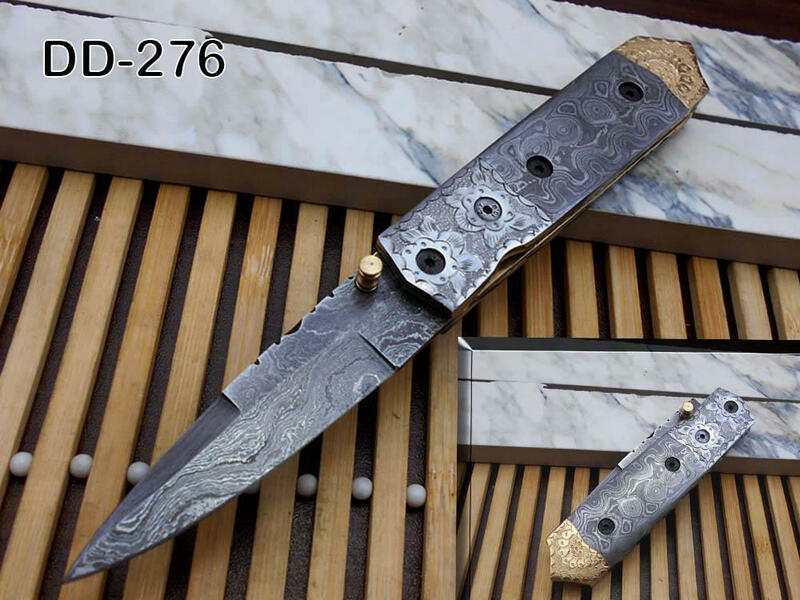 We will not be responsible for custom held items in your country (For international buyers only). Please check with local custom laws before ordering.